*****I am an Expert on INDIAN Local Citation*****100% manually work and no duplicate listing. 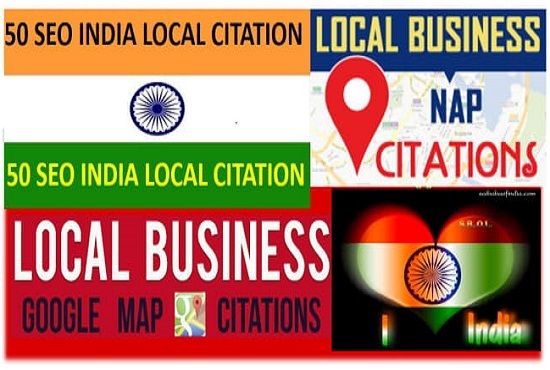 I will Creating 50 Live INDIAN Local Citations for Local BUSINESS To BOOST YOUR GOOGLE PLACES. I will create 50 INDIAN Citations in high PR and high DA local directories. For every Indian businesses I have created a full-fledged service to create high quality citations from Indian and global websites. I am expert in building online presence of businesses which will surely make your business stand out among others. So all of my fellow Indians are welcomed to handover a superior web marketing of their business. Facilities to be given ? Create 50 Live Local Citation For India is ranked 5 out of 5. Based on 4 user reviews.